My bridesmaid Brittany who’s beautiful house hosted the shower. We’ve known each other since 2nd grade! 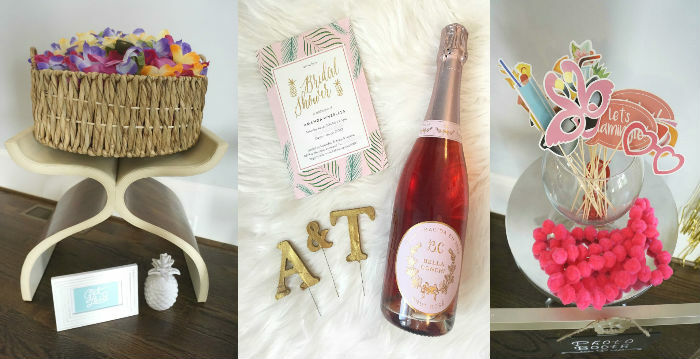 Better late than never to share the deets from my bridal shower, huh?! 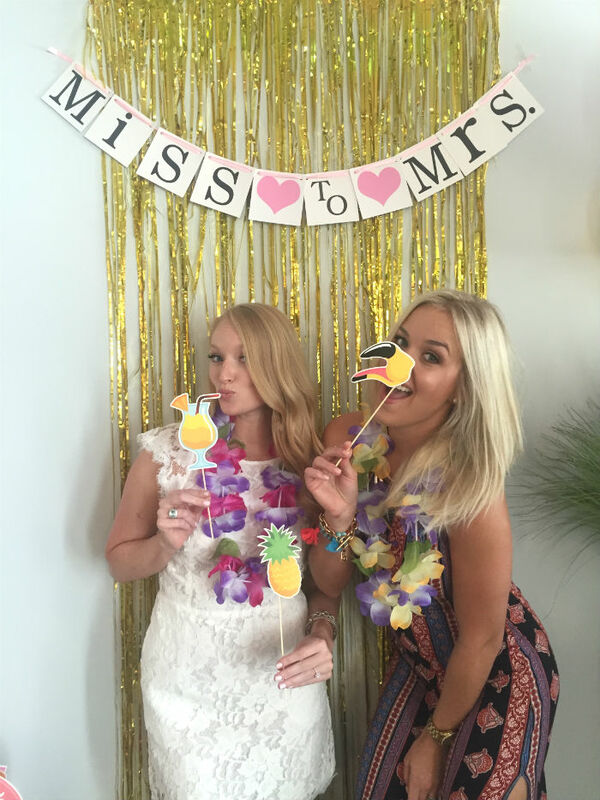 My Hawaiian themed bridal shower back in August was hosted by three of my bridesmaids, and they did such a fabulous job! This was the first official pre-wedding celebration because Tim and I opted out of an engagement party, so it I remember it all setting in on the ride there. 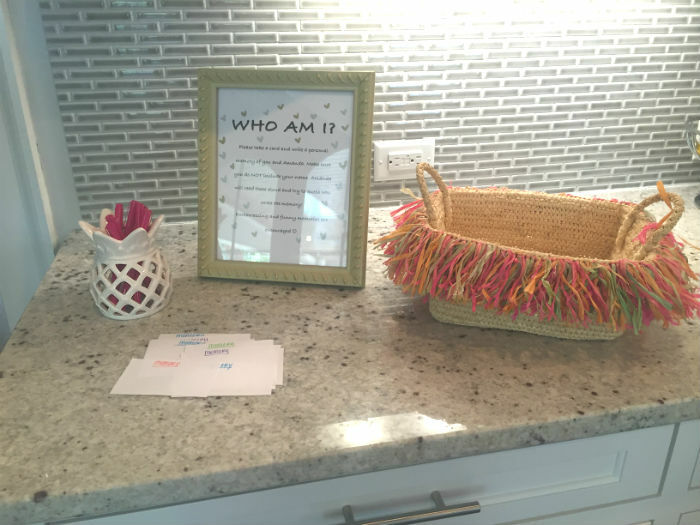 The theme was simple, it was summer and we were honeymooning in Hawaii. 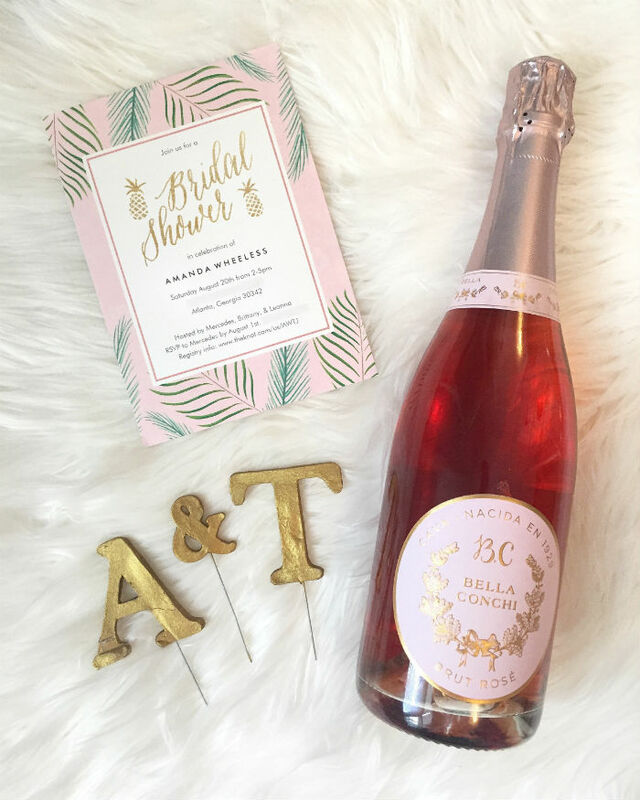 But not all showers require a theme, so if you’re stuck then just let the bride be the theme of the day! 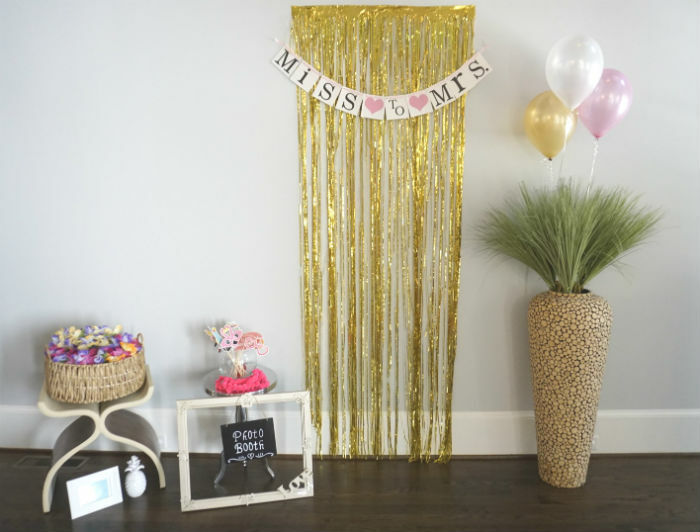 Photo booths are such a fun decor idea because you know there are going to be a lot of pictures taken, why not set up the backdrop up for social sharing success? My friends and I had so much fun posing with these cute props. I’m not sure on all the decor details, but I think they purchased most of it from Etsy and Party City. I linked what I could find! 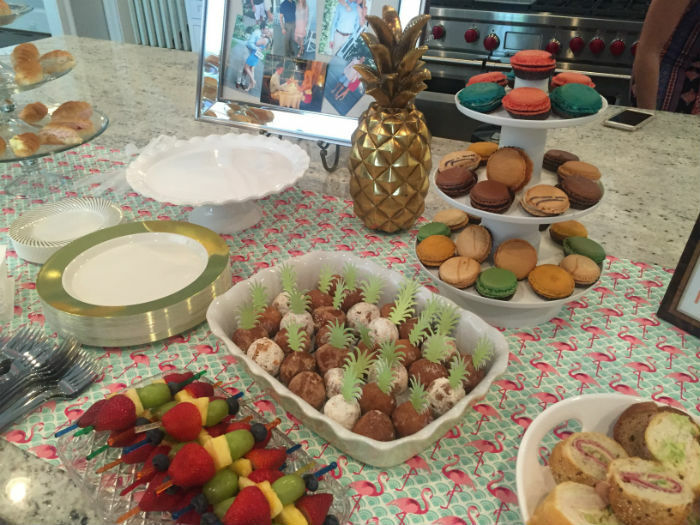 I do have to say the Macaroons were to die for. Tim’s sister Leanna found my new favorite little French cafe in downtown Marietta. The pineapple donut holes were also a cute extra dessert touch that I haven’t seen before. Also, doesn’t that cake deserve a shoutout!? It was oreo filling, yum! Your shower isn’t the time to deprive yourself if you’re been focusing on your weight for your wedding. Let it be your cheat day and enjoy it with all who is there to celebrate! 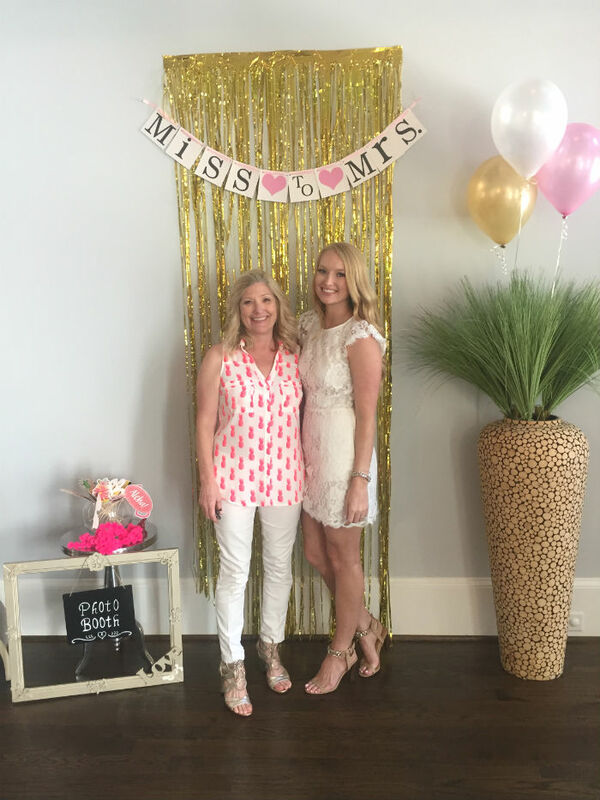 aw such a beautiful bridal shower! I really love the theme! I haven't seen a Hawaiian themed shower before .. I absolutely love that theme! Ah this is so cute!!! I absolutely love the invitations and all the decorations!! Everything looks so cute & you look beautiful! 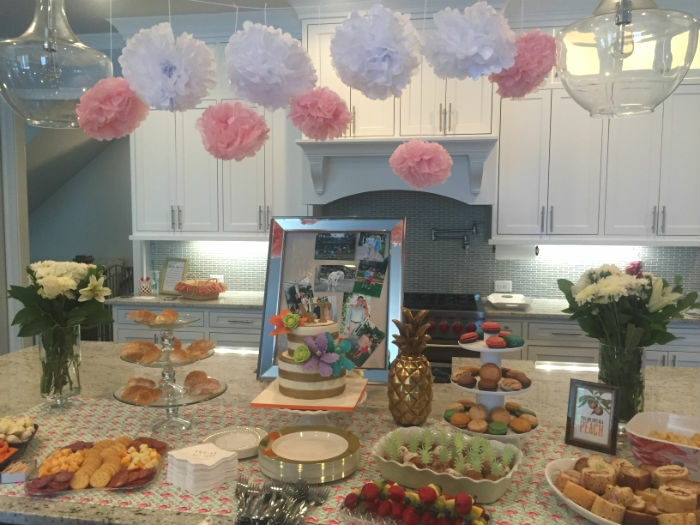 This is such a cute shower and a FUN theme!! Your bridesmaids did a great job bringing it all together! ADORED looking at these pictures!! First, you are glowing…that "I am so in love and getting married" GLOW!! Secondly, my sister recently got engaged so I am checking (stalking) all of these details!! Gorgeous!! Awwe this is so lovely ! You look so, so happy and everything is sooo cute, love the theme ! 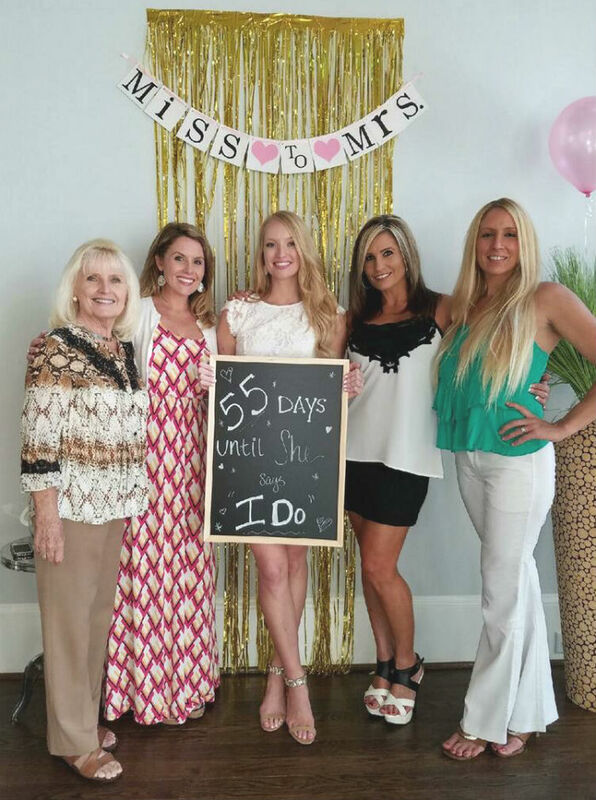 What a fun bridal shower! I love all of the pretty decor!! This looks like it was so much fun! I love the Hawaiian theme! 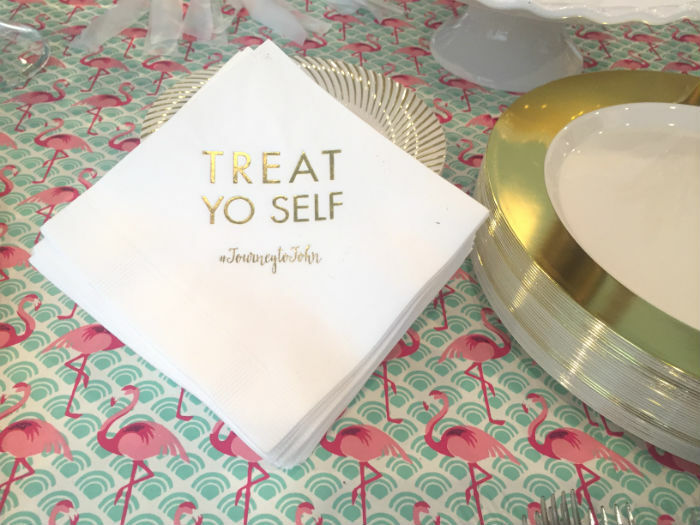 Love this theme for a bridal shower!! My sister's is in a few weeks and I just might have to steal some inspo! That's so exciting, I'd love to see how it turns out! We went to Hawaii for our honeymoon so it was an easy theme to go with. Oh my gosh this is so seriously cute!! I love it! This is so cute I love this idea!! !